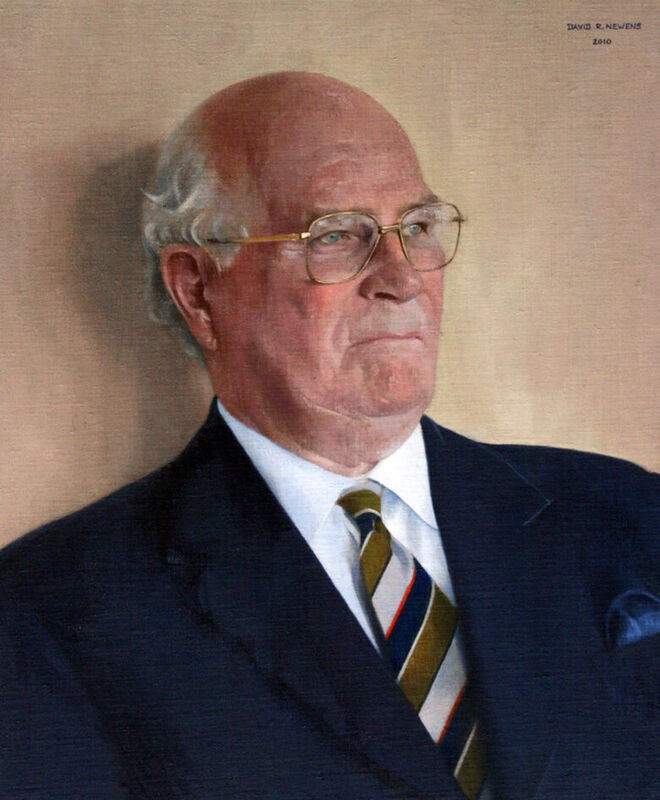 This portrait painting of Lord Vincent, Chancellor of Cranfield University, was set in a board room adjacent to the Cranfield Airfield, with windows facing North from floor to ceiling - perfect lighting conditions for any portrait painter. The commission, unusually, was for two identical portraits, one for the main Cranfield Campus and one for the Shrivenham Campus. After the first had been brought to a satisfactory conclusion, a copy was made.